Horrorscreams Videovault - UK based horror site with news, reviews, interviews and more. : AWARD-WINNING SMASH HIT ZOMBIE PHENOMENON 'REDCON-1' GOES GLOBAL! It was marked with the kind of fanfare usually reserved for Hollywood franchises - with tanks and zombies descending on shopping centres around the UK, a cast & crew signing tour with HMV, fans of the film turning up sporting REDCON-1 tattoos, and the director giving a talk at the prestigious British Film Institute. 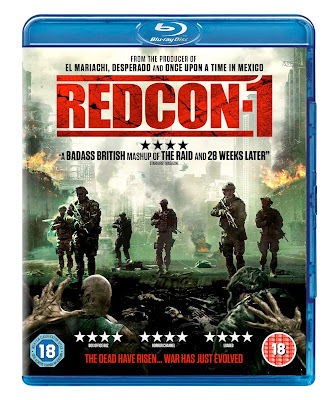 REDCON-1 features over 1,500 extras, some of whom were war veterans who had served in the armed forces. 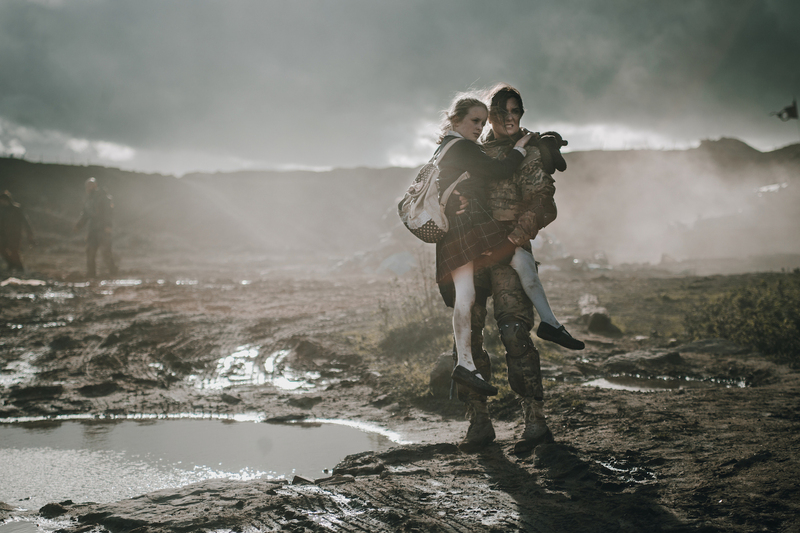 To show their gratitude to the military personnel who helped out with the film, and loaned the production some of the incredible hardware, including tanks and helicopters, the film-makers are teaming up with Forces Cinemas for special screenings at various Army and RAF military bases in the UK and overseas. 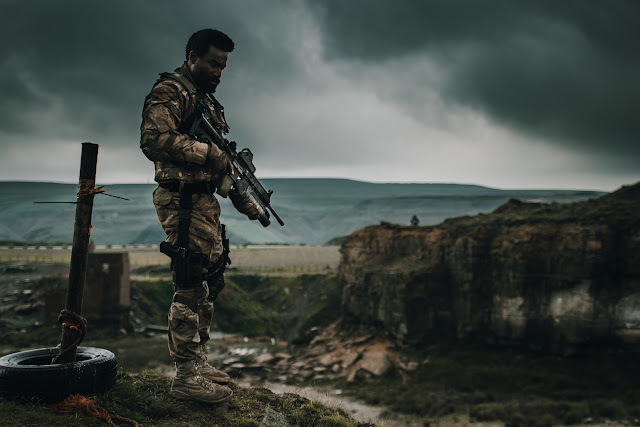 In February, REDCON-1 director Chee Keong Cheung spoke at the BFI, as part of their Future Film Festival, discussing the challenges of making a film from conception to release - in this instance, a big scale action thriller without the backing of a major studio. Cheung has since given a series of talks to share the secrets of his success, and hopefully inspire the next generation of budding maverick movie-makers, at the University of Westminster and University of South Wales. "I want to thank everyone who voted for Redcon-1 at the National Film Awards - winner of Best Thriller 2019. A very surreal moment. I'm incredibly moved by the support of so many people, the cast, the crew and of course our incredible zombies and the community behind Redcon-1. Without them this film would not have been possible. The award means so much as it was voted for by the Public. This award is dedicated to the Redcon-1 film community!" 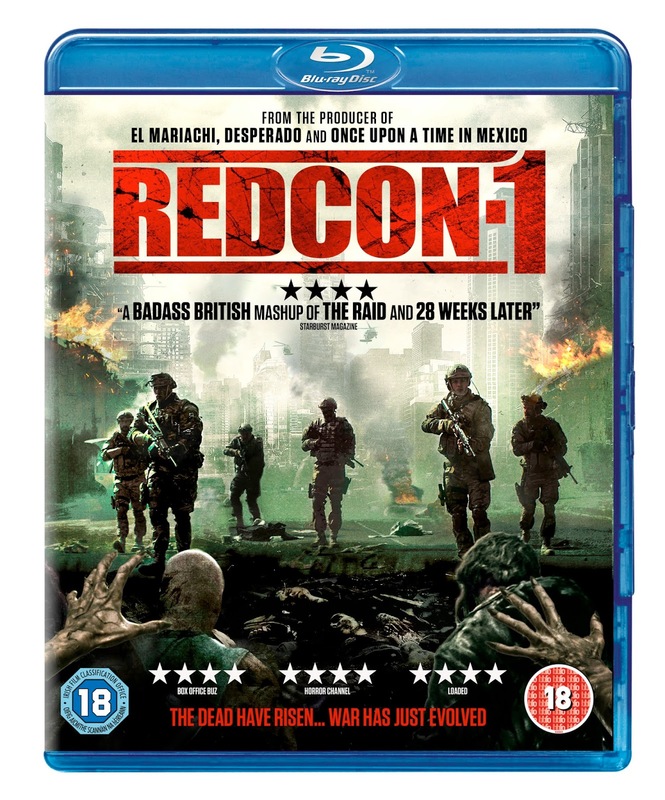 REDCON-1 is also slated for release in the US in May, while a cinema release in Malaysia has been confirmed for April. You can read our review of REDCON-1 by clicking HERE.